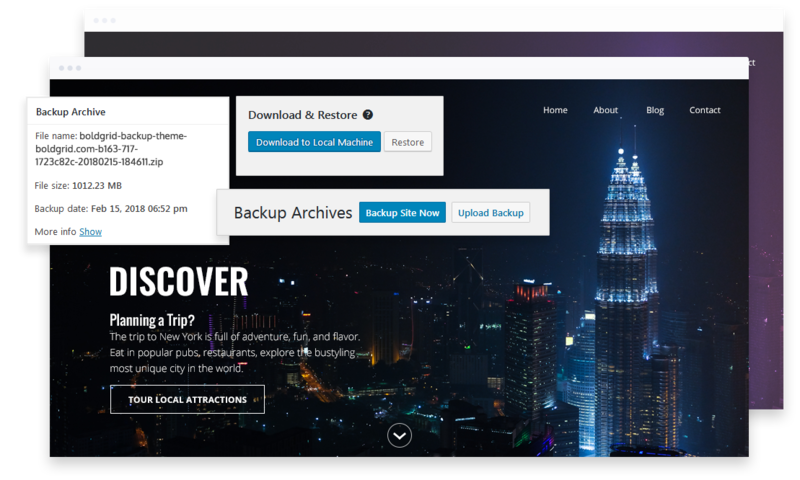 The Boldgrid Backup Plugin for WordPress is an automated, worry free backup solution that allows you to update, secure, restore or migrate your website with ease. With the BoldGrid Backup Plugin, it’s easy to schedule a time and day for backups to run automatically so you can rest assured that your website data is safe. You can also manually create a backup at any time with a single click, allowing for quick, worry free restorations on the fly. There are useful tools that can be utilized, such as the ability to set automatic upgrades to ensure your site is safe from the latest vulnerabilities. Backups are a critical aspect of website management. If you ever make a mistake that needs to be corrected, having a backup to restore from can save you countless hours. Below we’ll guide you through getting started — installation, configuration, and taking your first backup. The BoldGrid Backup Plugin for WordPress has tons of useful features to ensure your site stays running worry-free. You can backup and restore single files, exclude files or database tables during backup, and set up automatic plugin or theme updates that will roll back in case of problems. 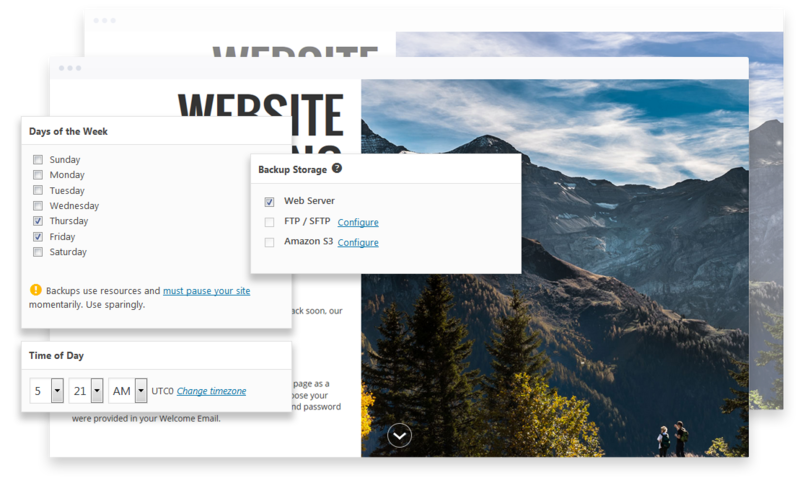 The following guides will walk you through common uses of the BoldGrid Backup Plugin for WordPress, which include configuration for remote storage, scheduling backups, restoring a backup, and using the plugin to migrate your WordPress website to a different host.